Norfolk is a photography location with beautiful beaches, wonderful seascapes, the Norfolk Broads and seaside resorts. 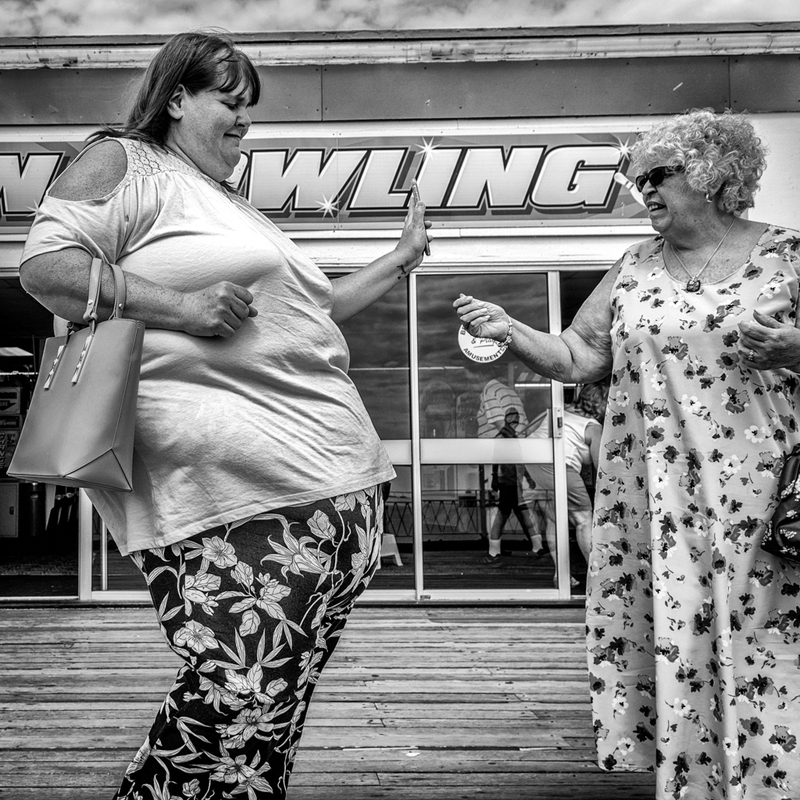 However, I headed for Great Yarmouth with street photography in mind. I went there to add to my Square Nation portfolio. This is street photography in Great Yarmouth with my Sony a6300. Usually, I stride about a location looking for scenes to photograph. However, I am learning that rather than walking about looking for opportunities, find a location, stop wait and let the opportunities come to you. This is street photography standing still. 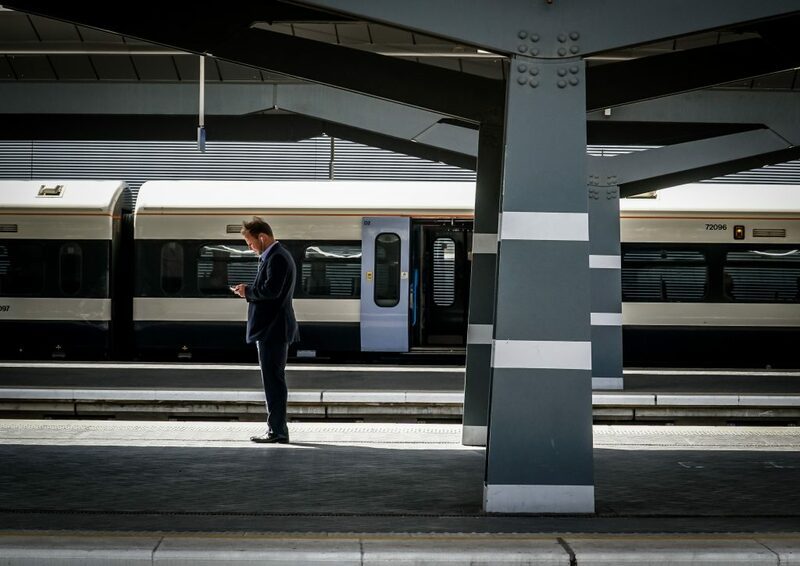 It is all about some planning in advance and exploring the space around you. Finding a location where the action is, and having enough confidence to stay put even though you may think it is kicking off somewhere else. Being stationary does not draw attention like going up to a stranger and poking a camera in their face. The photograph above, I love because it is natural, and up close. I would normally never dare to invade space so intrusively. However, I sat on the pier at Great Yarmouth and tried to blend into the background. This is ambush photography. I have seen wildlife photographers do the same, but they sit in a hide on the banks of a watering hole in the Serengeti, waiting for a crocodile to lunge forward and grab a wildebeest. Street photography standing still is less dramatic but requires the same stealthy skills. I was on a workshop with Matt Hart earlier in the summer. Matt was on a frenetic search moving quickly through the streets of London, and this approach worked well, we found some terrific situations. However, I wonder whether Martin Parr’s Last Resort included some street photography standing still because there is in his photography, that sense of our inclusion in the scene. I am excited and off to try this technique again. Watch this space. The Leica M10 is a serious camera. It comes from a pedigree that stretches back decades and has a name that is synonymous with quality and heritage. The Sony a6300 is, by comparison, the grubby kid from the other side of the tracks, working hard and pulling itself up by its bootstraps. 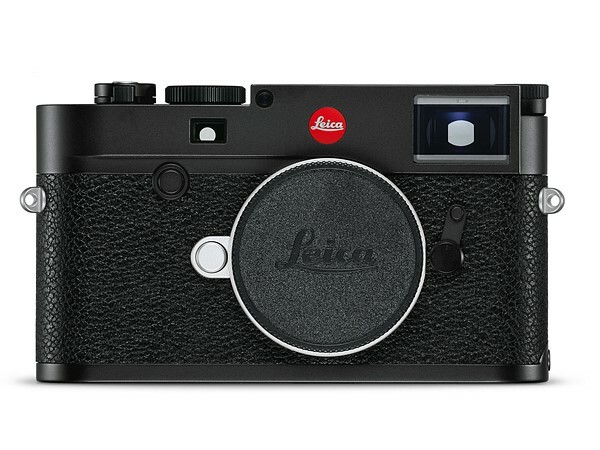 Photographers are prepared to spend thousands on that little Leica red spot. Which is as well because the Leica M10 costs around £6000. 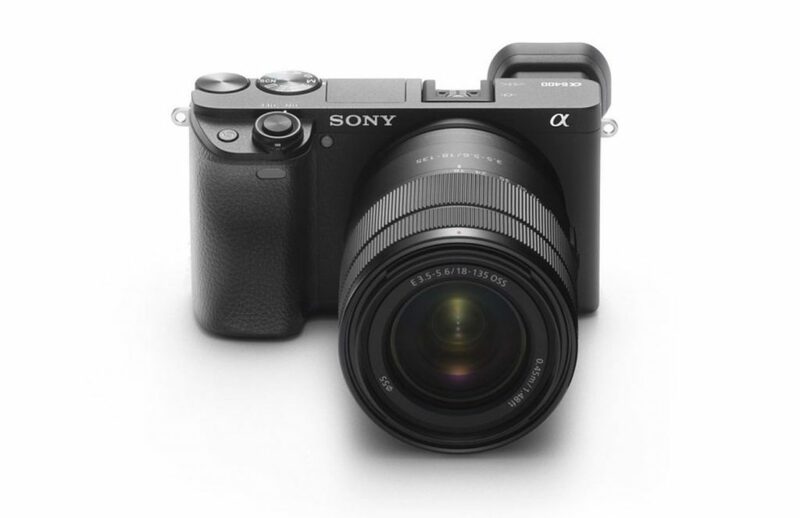 The Sony a6300, on the other hand, costs less than £1000. So is it a fair to try and compare both cameras. Afterall the Leica at six times the cost of the Sony, so it should just blow it out of the water. Leica M10 vs Sony a6300: Features. Both are mirrorless cameras, the Leica has a 24-million-pixel full-frame CMOS sensor, vs a cropped APS-C sensor in the a6300. However, both offer a different ethos, optical viewfinder and screen on the Leica vs an EVF and tilting screen on the Sony. No video capability vs 4K etc. The Leica is a thing of beauty with a heavy magnesium chassis and top and bottom plates that are milled from solid brass blocks. The Leica is made to be handed down through the generations. Whereas the a6300 is more transient. It has already been supplanted by the a6500, and the a6700 is on the horizon. On the surface, this makes the Leica sound more like a fashion statement than an enthusiasts camera. Furthermore, its lack of features makes it seem like a Betamax in a streaming world. However, the Leica does quality like no other camera. So is the lack of technology, and hefty price tag made up for with stunning images? Leica M10 vs Sony a6300: Image Quality. So how do they compare regarding image quality? The Leica used to be the street photographer’s camera of choice, and was/is used by many professional photographers today. DXOMark has just completed their analysis. DxOMark tested the Leica M10 sensor, the key to image quality. It shows that the Leica M10 full frame sensor falls considerably behind the latest and best full frame sensors launched this year, by Sony and Nikon. The Leica scored 86 compared to the Sony A7RIII and Nikon 850 which both scored 100. The M10 was found to be at least a 1 stop worse in both colour depth and dynamic range. Both these full frame cameras cost half the price of the Leica. It would seem then that the Leica full frame sensor, is more on par with the smaller APS-C sensors, in cameras that cost far less. In fact, as DxOMark points out, the Leica sensor image quality is virtually the same as the APS-C sensors, seen in the Sony a6300 and the Samsung NX500. The Leica has a full frame sensor, which is no better in image quality terms than the APS-C sensor in the Sony a6300. Leica M10 vs Sony a6300: Conclusion. So we return to the original question: Leica vs the a6300. The Sony is technically more advanced and feature rich, with comparable IQ. It is also a fraction of the price of the Leica. 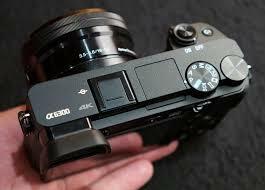 Whereas the Leica is a stills camera, in the tradition of Cartier-Bresson. It has breeding and legacy and is built to be cherished and shown off. So why spend so much more on a Leica when let’s face it, it is no longer the best camera money can buy. I guess it just comes down to that little red dot and the joy of owning a piece of history. I recently purchased a Sony a6300 because it seems ideal for street photography. I have been setting it up and changing settings for a few weeks, but it is now good to go. The picture above was one of the first using the a6300 setup as described. From what I can see the a6300 settings are similar settings to the Sony a6500. These notes are also going to be used as my checklist. So often I change a setting for a different circumstance, but do not remember to revert back to my original setup. Cameras are now so configurable that it is worth sitting down for an afternoon to turn your camera into the one you want. Then go out and take a few shots, and change again until it is right. Lets start at the top. The big dial on the top plate of the camera is the mode dial, where Program, Aperture Priority, Shutter Priority, Manual or one of the Auto or Scene modes can be set. 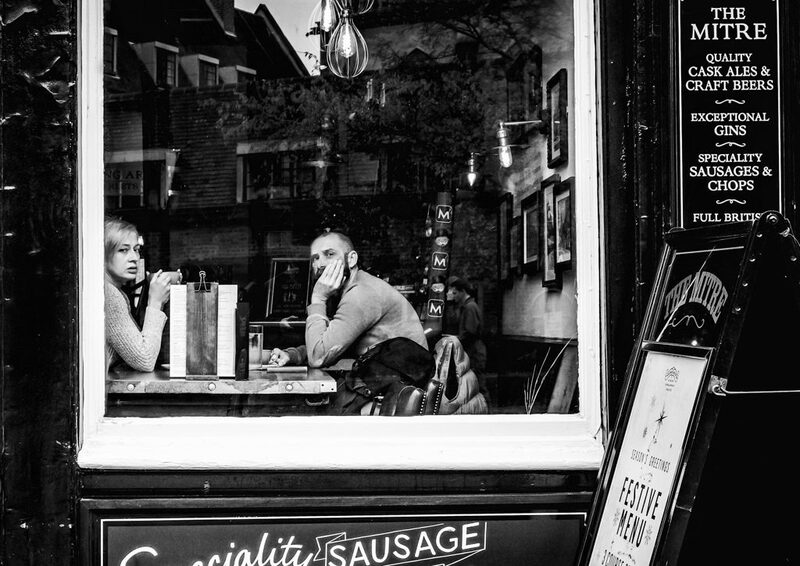 Many street photographers recommend Program mode, which is essentially an automatic setting for RAW files. However in Program mode, the Sony algorithm seems to move the shutter speed lower without moving the ISO higher, so I shoot Aperture Priority. It gives control over the aperture using the dial on the right hand side of the camera. This is a function dial, which when in Aperture Priority mode changes the aperture. Now to fix the ISO, and the camera will do the rest. Whether you are on the New York streets or taking a picture of your family in the park, you want sharp pictures. As the light fails, move the aperture down to the widest for the lens you have attached. On the kit lens supplied with the Sony a6300 that is f3.5. It is surprising especially in a UK winter, how quickly that buffer is reached. It is also tempting to let the shutter speed get lower, when after all, the lens has image stabilisation. But more of my picture are blurred through a low shutter speed and consequently camera shake than any other reason. So a high ISO is required to give some flexibility. 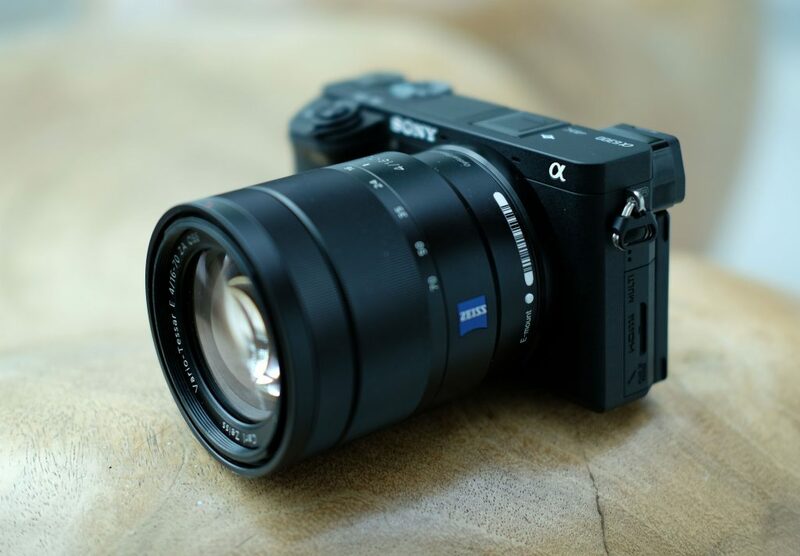 Reading the reviews, high ISO’s are possible with this camera without compromising image quality. It is personal, high ISO’s lead to more noise. How much is acceptable is up to you. Try it out. Is a high ISO better than a shaky shot. Again it is personal preference. Fn>ISO or Menu>Camera>4>ISO or Control Wheel>right. I usually leave the drive mode as single shot. The continuous shooting is so fast that before you know it you have hundreds of images to post process. There are circumstances where the continuous mode is useful. I therefore set the Custom 1 button on the top of the camera, to bring up the drive mode menu. This is a completely silent shutter, definitely useful in situations where you don’t want to cause a stir. Personally I prefer to risk the shutter sound. I can be sure then that I have the picture. White balance is used to get colours as true as possible. Auto seems to work well. In the rare circumstance that the camera does not handle it correctly, it can be fixed in post processing. Focuses automatically on a subject in all ranges of the image. When you press the shutter button halfway down in still image shooting mode, a green frame is displayed around the area that is in focus. Select a zone on the monitor on which to focus. A zone consists of nine focus areas, and the camera selects a focus area on which to focus. Focuses automatically on a subject in the middle of the image. If you half press the shutter or use AF lock it is possible to hold the focus and recompose the shot. This allows you to move the focus frame to where it is required on the shot. If the camera cannot find focus within the focus frame it will focus on points around the flexible spot as a secondary priority area for focusing. It is worth understanding how mirrorless cameras differ from DSLRs in terms of focusing, and how the Sony a6000’s hybrid focus detection works. Focus Mode (not to be confused with Focus Area) changes how the focus adapts to different scenarios. In AF-C, which is ideal for continuous shooting the camera will reattempt to focus every time a subject moves. AF-S locks the focus despite the subject’s movement. Ideal for single shot shooting. This is a beam of light which assists the camera focus in low light. However this camera copes admirably in difficult lighting, therefore is is best to switch off and avoid being given away by a red beam of light. Especially useful when covertly shooting on the street. When Pre-AF is on the camera will continuously focus, even without half-pressing the shutter button. This can be draining to the battery, so I set to off. This setting allows the release of the shutter even when the subject is not in focus, when Focus Mode is set to Single-shot AF. There is a setting, AF which prioritises focusing. The shutter will not be released until the subject is in focus. I only want to take pictures that are focused correctly, so that is the setting I use. Selects whether to focus automatically when you press the shutter button halfway down. Leave this switched on to focus. This feature will track the subject at the centre of the image and is useful in e.g. sports photography. For single shot I switch off. This is a clever feature on the Sony a6300, because there is a setting to register faces. This for example could be used at a wedding, to register the bride and grooms’ face. These will then be held in memory and automatically brought into focus in a any scene. Up to eight people can be registered. However I just want to switch on face detect, which is both useful in general photography and street photography. Eye detect is another powerful feature on the Sony a6300. I have it setup so that the AEL button activates eye detect. NB the AEL button must be held down to maintain focus on the eyes. 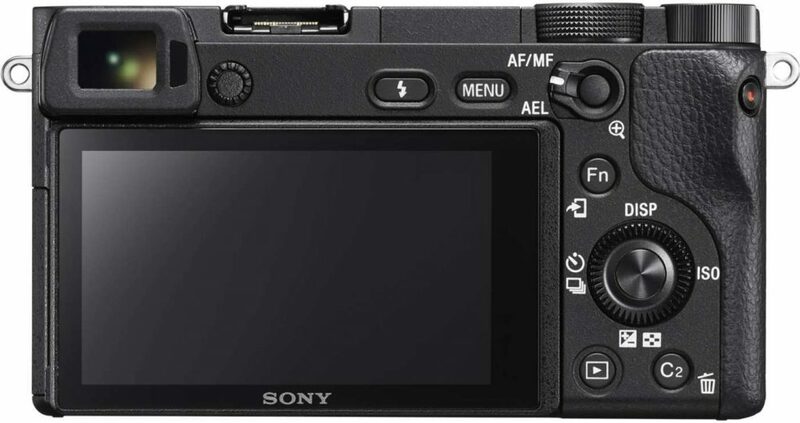 This guide from Sony provides a comprehensive review of the AF function on the Sony a6000, which also applies to the Sony a6300 and 6500. I have this set to auto, so that when you put your eye to the viewfinder, the screen switches off. The problem is that the detector on the view finder is very sensitive, so that when you hold the camera at waist level to use the flip out screen, the screen switches off. There is a custom setting to toggle between finder and screen, but in my experience it does not work consistently. Therefore I use this setting. The solution I have come up to desensitise the finder detector, involves glue and sticking plaster, using a product called Light Dims. These are little inexpensive, stick-on pieces of a neutral grey shading material which are actually made for putting over LED’s that are too bright. Simply cut a 3mm x 5mm piece of this material and apply it over the left half of the EVF sensor. The sensor continues to function perfectly, and the LCD remains on even in very low light. The EVF then still switches on again automatically, when the camera is held up to your eye. The Sony a6300 is an amazingly versatile camera. The settings may be bewildering, if that is the case then set the camera to Auto and get great results. But to get even better results dive in and understand the settings and make the camera your own. 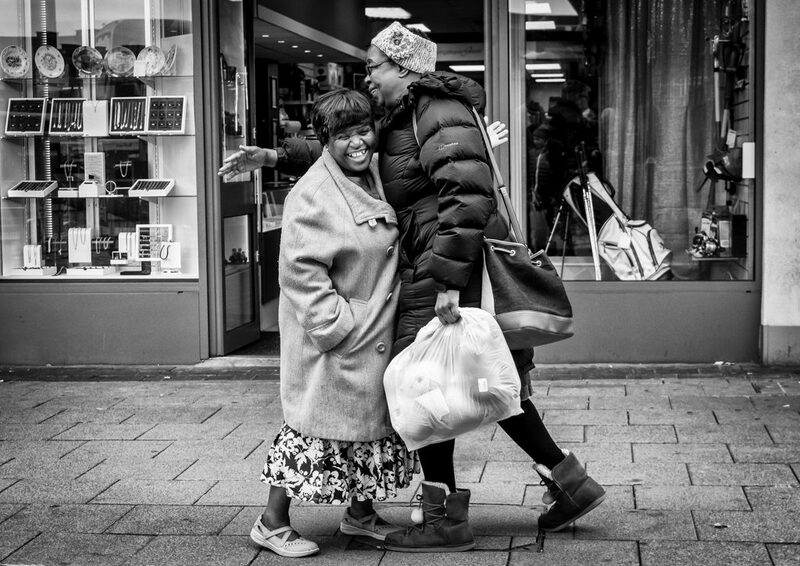 I was out and about in Cambridge yesterday with my camera, and I was accosted by an elderly lady. She thought that because I was carrying a camera, I must be a snoop from the council. That is just one of the hazards of street photography. Had I been carrying a big DSLR, she would have assumed I was a proper photographer. However, a small camera like the Sony a6300 can unfortunately make you seem like a furtive fellow. The picture above was taken there. The couple look delighted to have been caught on camera. I was having a good day! I created the moody monochrome image using Silver Efex Pro2, from the Google Nik Collection. The Google Nik Collection is the best free resource for photographers available on the web. In 2016 when Google decided not to support the software further, it went on to provide the software free to photographers. This was both good and bad news. The software was free, but it was never going to to be updated. However, a month or so ago it was agreed that DxO acquire the Nik Collection, and fortunately they plan to continue to develop it. A revised version will be available mid 2018. It is still possible to download the existing software, including Silver Efex for monochrome post processing here. This is a note to myself about how the image was processed. In Lightroom, there are the usual workflow: exposure, sharpness and white balance adjustments to process from RAW. The image was then desaturated to -31, the vibrance taken down to -29 and the clarity pushed up to +71. Reducing the colour to provide a dark and moody presence. I also added a shallow tone curve and imperceptible vignette. Removed the reflection of myself and used the burn tool to tone down the interior of the pub, reducing lights and reflections. Processed to mono using preset 23 Wet Rocks and film type Agfa APX Pro 100. To achieve that look, without Silver Efex would be impossible for an amateur retoucher like myself. Furthermore, in the distant analogue days it would have taken hours of work in the darkroom to achieve the same results.